Q: Dear Templates Master Team,is it possible to show the prices with included tax in the review-section?Thank you! A: Firecheckout use default format of prices set at your store. You can change it at admin > system > configuration > Tax settins. A: I found the error! $this->getItems() in default cart return items with correct 'price_incl_tax'-value but in firecheckout $this->getItems() returns items where the 'price_incl_tax'-value doesn't have tax added. Any idea why this happens? A: The whole Quote in the Magento-Session (Mage::getSingleton('checkout/session')->getQuote()) is changed when firecheckout is opened. grad_total, subtotal and so on are overwritten with the prices without taxes. After opening the default cart (checkout/cart) the Quote will be changed to normal prices.It looks like firecheckout tries to recalculate the prices and get wrong values. A: Please contact us at http://templates-master.com/helpdesk and we will check that issue. Q: I've the Fire Checkout installed and are very pleased with it. But I have still one wish: Is it possible to save the postalcode and city in uppercase and the name and street capitalized in the database? Because customers don't put there address in the preferred format is my opinion.In which file could I add this feature (I know something of html and php) or could you build this in? Q: HiHow does the 15-day back Money Guarantee work?I have inherited a site which has some custom code for the payment gateway. I want to install Fire Checkout but I am unsure if this custom code will be compatible.I was hoping I could purchase the module, and if I cannot get it to work get a refund. Is this possible? A: Yes sure. We will be able to issue refund in case it doesn't work for you. But our developers will be also glad to help you with custom code you are using. Q: Fatal error: Class 'TM_FireCheckout_Helper_Data' not found in /app/Mage.php on line 516I receive this when going to System > Configuration.I just purchased this product and followed the directions for installation. I even copied the default/default contents from the app and skin directories to my appropriate template directory.I have deleted the cache under /var/cache and even went in to the cache management in the backend and cleared all, but I am still receiving this error when trying to go to System > Configuration. A: It looks like your store compilation mode is enabled. Please go to admmin > system > compilation and disable compilation mode. A: Thank you for the quick reply! This fixed my issue that I was having. A: You are really welcome! Q: When will this product be updated to use with Magento CE 1.7.0? 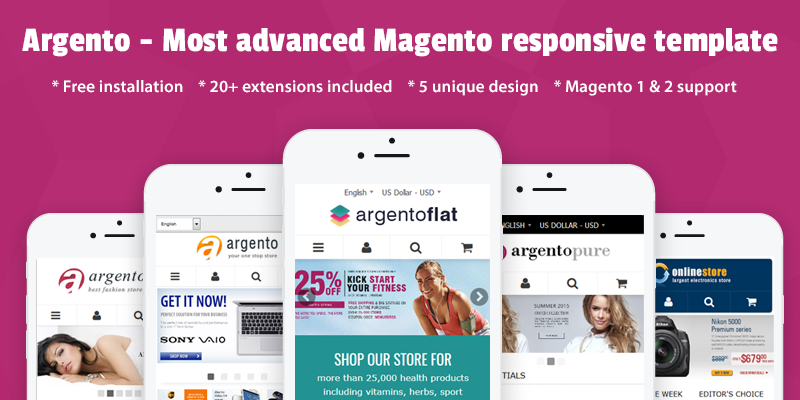 A: It's already updated to work with Magento CE 1.7.0. Q: Can the "Create an account for later use" feature be disabled completely. We want all our customers to checkout as guests only. A: We can modify extension in such way for you. Q: Can images, such as credit cards, site security seals, etc., be incorporated onto the checkout page? A: Yes sure. You can add images and we will be glad to help you to do that. Q: Can the order of the address fields be configured? I've never understood why the default for Magento checkout is so unnatural, and unlike the way in which customers are accustomed to writing their address. If by entering their ZIP code, the city and state were filled in for them, that would make sense to put that first, but since it does not do that, why put the ZIP code first? A: I found my own answer to this one on the screenshot you have posted. The answer is "Yes", the sort order can be configured. A: You sure you can change order of fields in admin. Q: Can the newsletter subscription checkbox be disabled? We don't send a newsletter. Can it be configured so that default option is "not checked"? A: Found my own answer on the screen shot of the back end. (Sorry, I hadn't see that) The answer is "yes". Q: Whats the difference between fire checkout 1 and fire checkout 2? I had purchased fire checkout last year; are there any differences with the new fire checkout? Can i upgrade/update my old fire checkout? A: In case you already own firecheckout license then you can update for free. We have rewrittent firecheckout in order to make it faster and add many new features. You can find details at release tab on firecheckout page. Q: When I deactivate fire-checkout, there always remains a warning box which says "The Fire Checkout is disabled" when I want to go through the normal checkout process.I need this because I'm running a multi-store and in one layout I want to have Fire Checkout activated and in the other it should have the normal checkout process.Can anyone give me a hint how to make this warning go away? Thanks in advance. A: Please submit support request at https://templates-master.com/helpdesk. Our support team will check what is wrong. It should not work in such way. Q: Hello...I´m looking for a one page checkout and I´m interested in the fire checkout mainly because I´m REALLY happy with your support.But I´m interested in two functionalities: - A simple Gift wrap option (a checkbox that adds a value to my cart) - Split the address field into 3: street, number, complement.Does your extension support that? A: #1 Default gift package option is supported is supported by FIrecheckout.#2 Magento by default offer up to 5 adress lines. So you should simple enable this optin in config and Firecheckout will allow you to use 3 lines. A: Let me rephrase: #1 - Default Gift Packaging in magento is just to leave write a message, it doesn´t add a predefined value to the cart right? or am I missing something? What I want is a simple checkbox, that if checked, adds $4 to the cart total. #2 - is there an Easy way to customise the label and sizes of this lines in firecheckout? A: #1 - That will require extension extension modification i think. #2 - Yes sure it can be done with css and translations. Q: hi,i got firecheckout for a while but i want my url changed when someone checks out from www.domain.com/firecheckout/ to www.domain.com/securepayment/how can i change this???? Q: The TAX/VAT checker in the new version is great. But i only want it to be be visible to foreign customers. Is this possible? A: Sorry can you tell us how do you want to determin list of countries that are "foreign "? Q: Does this work with paypal web-payment pro and Cardianl 3d Secure? A: Dear Robert ,sorry but we have not tested it with Cardianl 3d Secure. You can try Firecheckout at your store. In case you will have any problem then our support team will be glad to help you. Q: Does your extension support Magento Professional Edition 1.9' award points and store credits?Can I integrate the EU Vat extension? A: Right now we don't have version compatible for 1.9 but we can update extension for you for free if you are interested.Please also tell us what EU Vat extension you are using in order to tell if our extension compatible. Q: Which success.phtml file do you put the code for adwords conversion tracking? A: Firecheckout extension use default template/checkout/success.phtml file. Q: Does firecheckout works with google analytics ecommerce tracking? How to set it up? A: Yes sure. It works with built-in magento google checkout extension. There is no need to apply any changes or patches. A: Thank you for your interest. Our customers have not reported any problems with recent extension release and this payment gateways. Extension will work in same way as with default magento checkout. Q: Sorry, I didn't see how to reply to previous question thread. Yes, I know currently user can register on Firecheckout, but it is important to allow this option AFTER checkout.The reasons are: 1. One less decision for user to make while you are getting them to finish checking out. 2. Higher probability of registering AFTER sale, while they are still happy about making purchase. 3. Gives them another engagement action to take, instead of being met with a dead end order confirmation success page.Any ideas for easy implementation of this? A: Yes we understand your idea. Unfortunately checkout session got cleaned on checkout success. So you will not be able to get address data after order was placed.